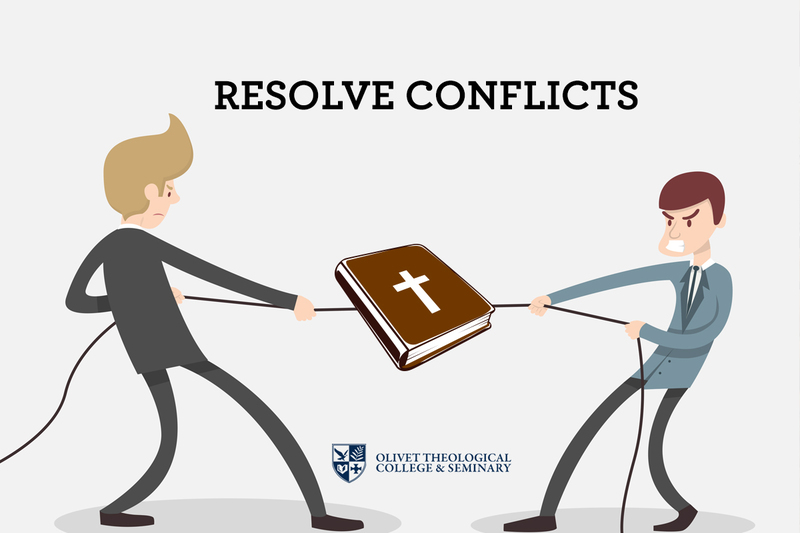 Master of Divinity students have engaged in meaningful discussions on how to resolve conflicts throughout the Church Administration course at Olivet Theological College & Seminary this quarter. Many have gained insights from their related ministry experiences. Roger Heuser & Norman Shawchuck, authors of the textbook "Leading the congregation: Caring for yourself while serving others" used in this course, pointed out that the cycle of conflict is as follows: tension development, role dilemma, injustice collecting, confrontation and adjustments. Another First Year student Annie Jiang related it to a Chinese idiom “no wind, no wave”. She thought that when conflicts rise up, one should look for the cause and communicate in time so as to narrow down the problem and deal with it effectively. “As coworkers in the Kingdom of God, we shouldn’t leave any opportunity for the satan to break our relationships,” Jiang said. Besides, most students found the discussion on “team working through conflicts” important and applicable to their ministries. “Conflicts are inevitable in the development of the ministry of God. The most important thing is to understand the cycle of conflict, and not to fall into despair. Always follow the words of God to reach reconciliations among coworkers so that the glory of God can be revealed once again,” professor of Church Administration Dr. Doohyun Yoon concluded.